You can make change happen. 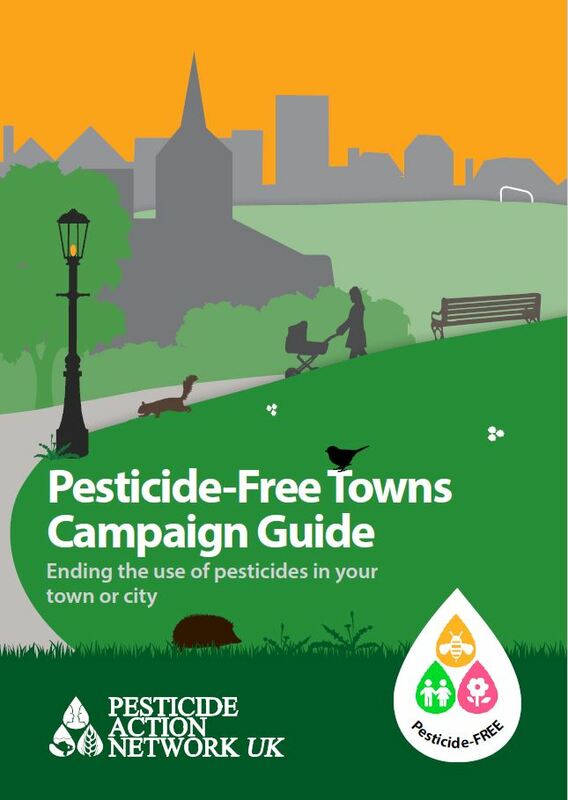 Recent decisions to go pesticide-free by Glastonbury, Lewes, Hammersmith & Fulham and other councils across the UK are all a result of local people campaigning for change. And you can do the same with the help and support of PAN UK. We have created a suite of materials (including a short guide to starting and running a campaign) that are available here, free of charge. We offer expertise and advice as you develop your campaign and are also happy to support you by speaking directly to your local councillors or other land managers. The important thing to remember is that this is your campaign and you can make a difference. 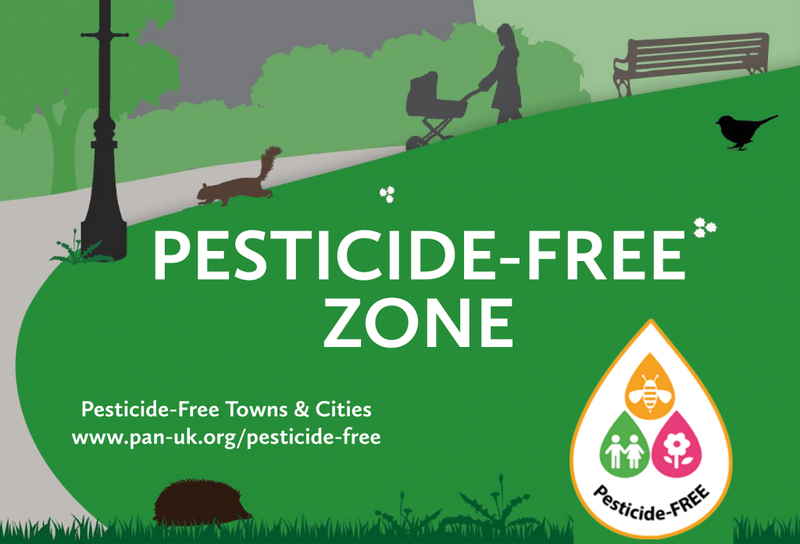 Be part of the growing Pesticide-Free Towns movement and leave a lasting legacy for your local area which protects people and the environment. Introduction – what’s the problem? Pesticides aren’t just used in agriculture. A wide range of different pesticides (including insecticides, herbicides, fungicides and rodenticides) are used in our towns and cities. 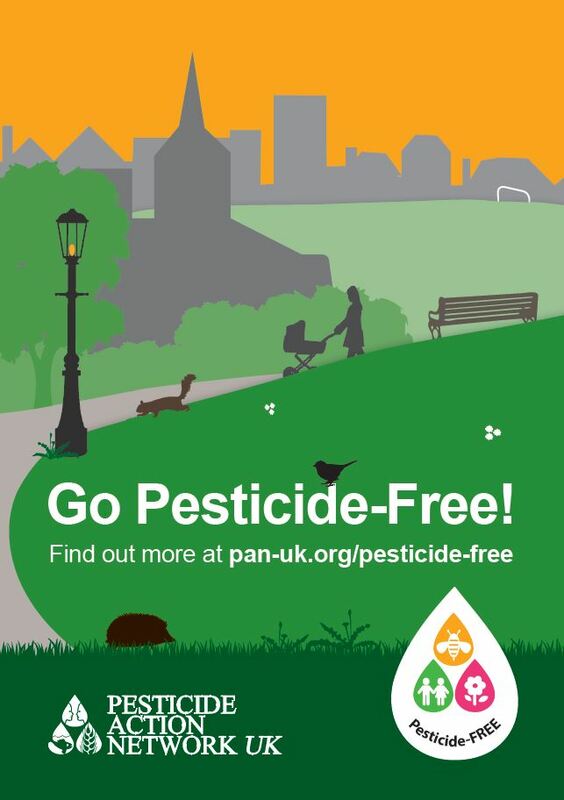 In fact, other than residues in food, the most common way for the majority of people in the UK to be exposed to pesticides is through spending time in urban, public areas. 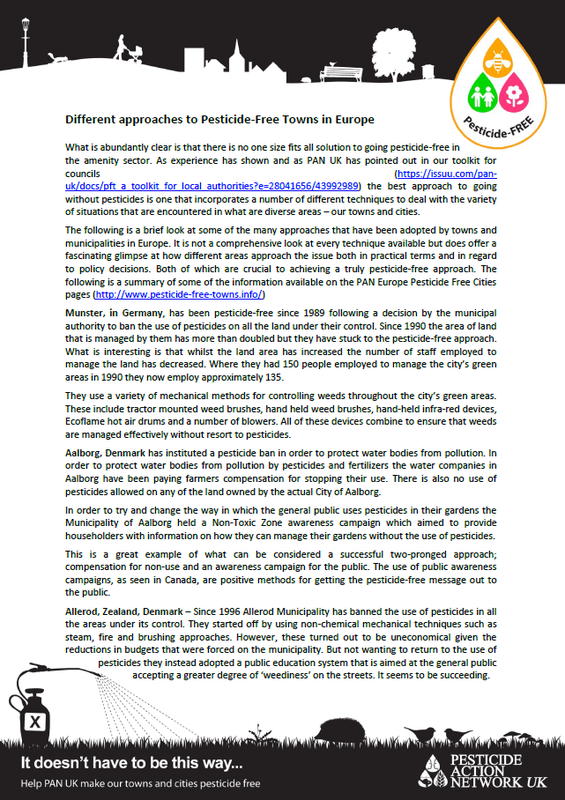 Local councils are the main users, spraying pesticides in parks, playgrounds and other green spaces, road verges, cemeteries, pavements and around council houses. 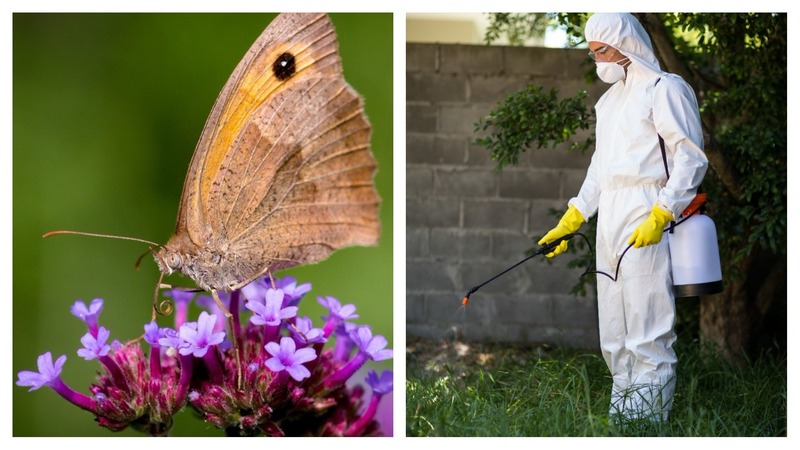 However, there are also many others that use pesticides including university campuses, car parks, hospitals, private housing developments, shopping centres and schools. In most UK towns and cities it is currently impossible to avoid exposure to pesticides. However, a growing number of places around the world have already gone pesticide-free and are proving that it can be done. Urban pesticides are unnecessary and should be banned immediately in order to protect human health and the environment. 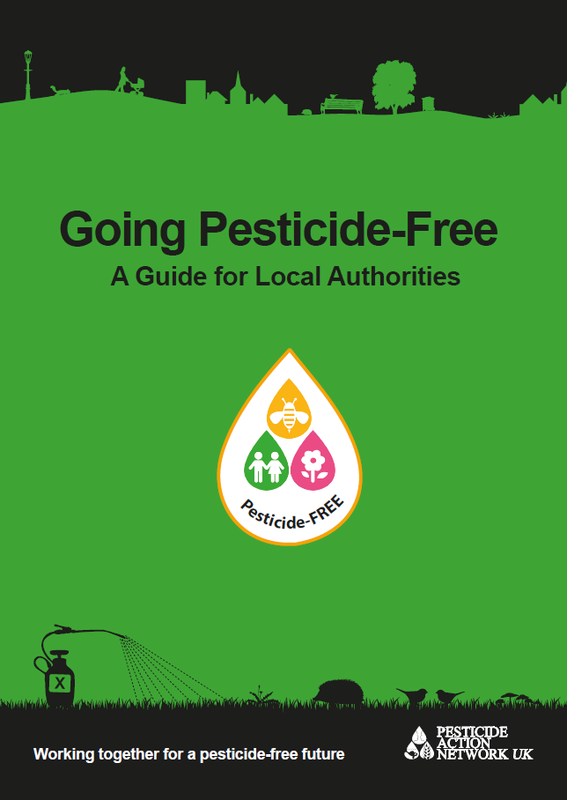 As can be seen from our list of current bans and restrictions there are hundreds of towns and cities around the world that are already pesticide-free, and some that have been doing it for decades. In May 2017, Lewes District Council voted unanimously to stop the use of all pesticides in public parks and green spaces following a successful campaign set up by local residents. The Council’s contractor has invested in a hot foam weed control system which has replaced the use of herbicides. In early 2017, Wadebridge became the first town in Cornwall to go pesticide –free, opting for hot foam as the most effective alternative. The County of Cornwall is currently developing a County Pollinator Action Plan which involves a range of actions to better protect bees, including reducing pesticide use. In June 2015, Glastonbury became the first council in the UK to ban the use of glyphosate and switch to non-chemical methods of weed control in all areas used by the public. 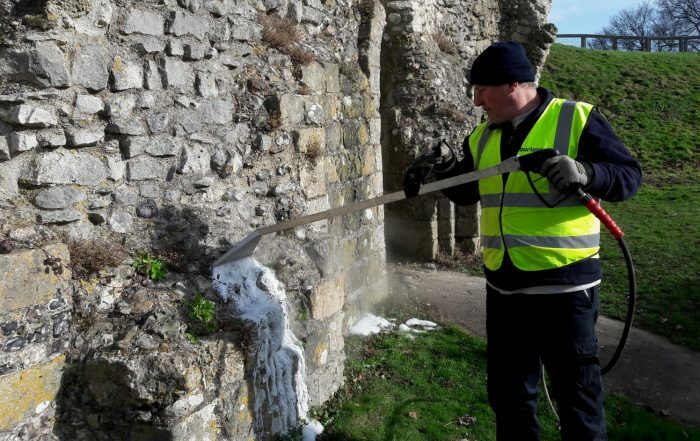 They invested in a hot foam machine and are currently looking at options for hiring the equipment out to other neighbouring parishes in order to recoup some of the initial cost outlay. Glastonbury is a small town, population approximately 9000, in the county of Somerset in the UK. 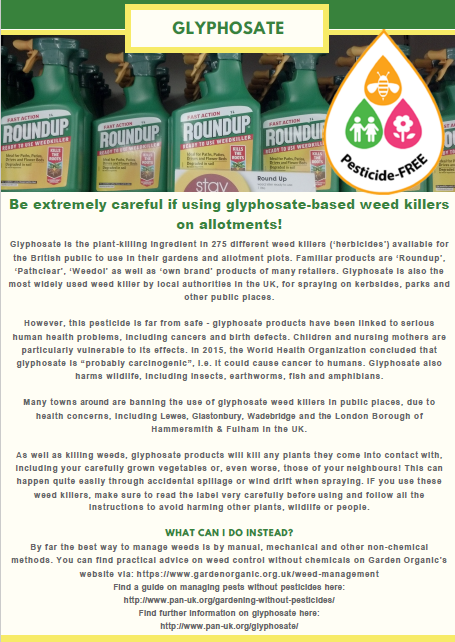 In June 2015, it became the first council in the UK to ban the use of glyphosate and switch to non-chemical methods of weed control in all areas used by the public. Glastonbury is a progressive town with a reputation for green, sustainable approaches to the environment in general. Whilst Glastonbury Town Council had already stopped the use of pesticides on its own properties, Mendip District Council and its contractors were still using glyphosate to control weeds and some of this spraying was taking place in areas of Glastonbury Town. In the supporting speech Councillor Black noted that there had been reports of declines in wild flowers and plants on Glastonbury Tor due to the use of glyphosate by the National Trust (NT) and to avoid this the NT had now switched to hand weeding in the areas of the Tor most frequented by the public. 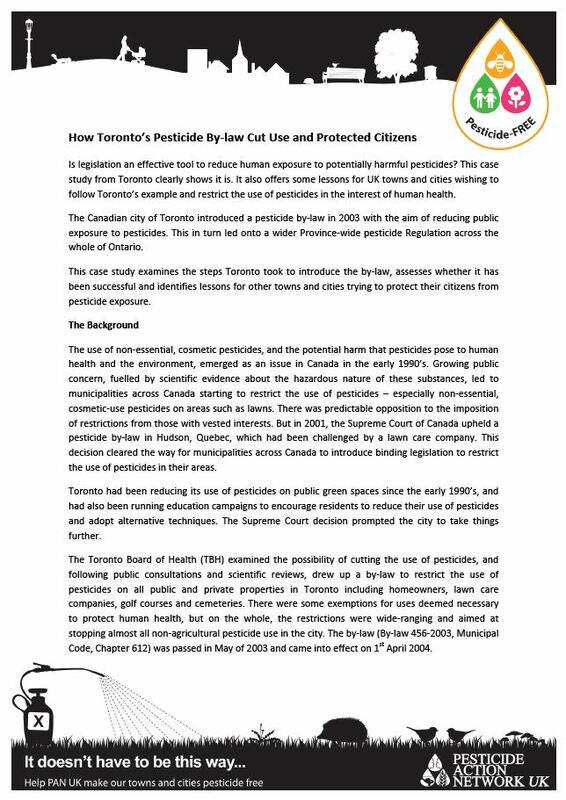 Councillor George presented a paper to the Council detailing the strong correlations between the use of glyphosate and adverse effects on human health. It was also noted that although the evidence for the potential harmful effects of glyphosate was not at this point conclusive the town should err on the side of precaution and cease its use. At the end of the discussion a vote was taken on the Motion and it was carried by 12 votes for and one abstention, due to the Councillor not being present at the time. In effect it was a unanimous decision that was carried. The Council decided to undertake a trial of several alternative approaches and compared hand weeding, hot water and the Foamstream system. The trial monitored the time taken to apply the treatments, the effectiveness in terms of immediate dieback and the level of regrowth following the treatments. The trial concluded that hand weeding was not viable due to the high costs associated with the labour and that hot water was not suitable due to cost implications. According to Councillor George the costs for the various products were a determining factor and the Foamstream system came out ahead of the other methods trialled. It is clear that the running costs, post equipment purchase, were significantly lower than the other alternatives. 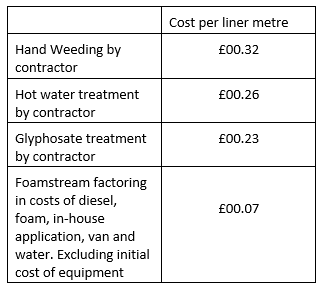 However, the cost of the machine does need to be factored in and Glastonbury Council did need to purchase the Foamstream machine for its own use and then train its staff to operate the equipment. Glastonbury Council is currently looking at the options for hiring the equipment out to other neighbouring parishes in order to recoup some of the initial cost outlay. It is also estimates that over the long term the cost savings will increase. In terms of the effectiveness of weed control it is reported that the Foamstream system took a similar length of time to apply and that the initial dieback of weeds was higher than for glyphosate. The regrowth following the initial trial was reported to be minimal but testing over the longer term is needed to establish the full effectiveness of the system. However, given the fact that Foamstream can be used in any weather conditions there is a lot more scope for when it can be applied and how effective a treatment it remains. As a contrast glyphosate cannot be used in the rain and its effectiveness is diminished should rain follow application thus requiring further treatments or a less effective end result. 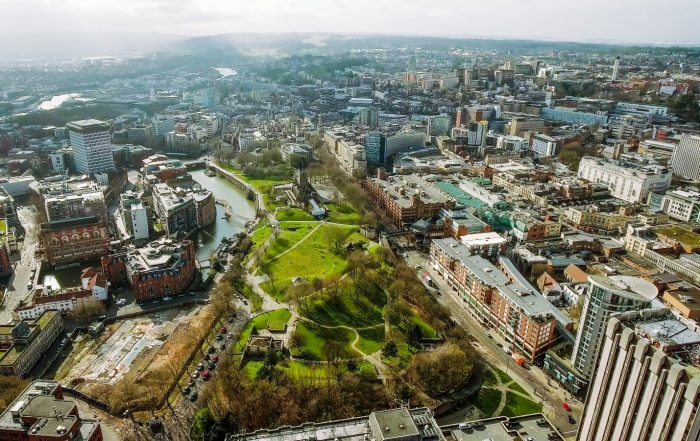 The will of the local Council and their appreciation of the concerns of local residents meant that support for trying something different was possible. 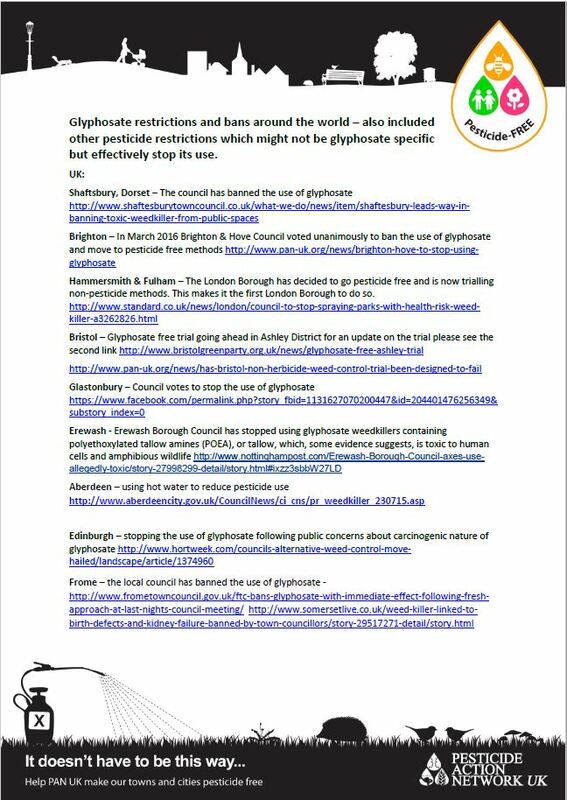 The Council erring on the side of caution and fully understanding the precautionary principle and what that means in terms of protecting local residents from potentially harmful activities, in this case the use of glyphosate. A willingness to make a decision that will have long term positive benefits rather than just looking to the short term. In this case the decision to invest in the Foamstream system which in the short term had serious cost implications but in the long term will both save the Council money and help to ensure a healthy, safe environment for the residents and visitors to Glastonbury Town. PAN UK has looked at the health effects associated with the fifteen most frequently used active substances in the amenity sector and presented the findings in the table below. The classifications are taken from a wide variety of sources and different regulatory authorities around the world. In the most recent UK-wide survey (dated 26th April 2018), there were a reported 38 different types of pesticide used in the towns and cities of the UK. 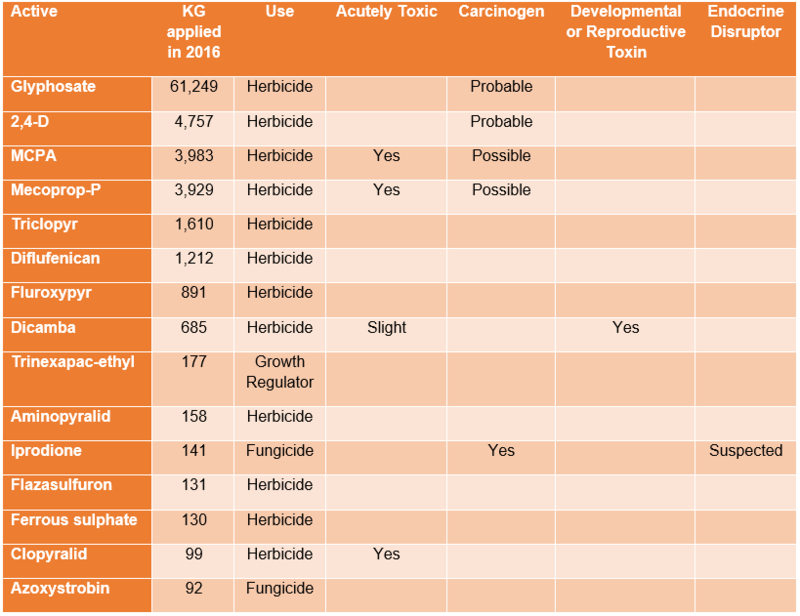 Glyphosate is the most widely used herbicide in the world and has been focused upon in recent years as a result of its classification as a ‘probable human carcinogen’ by the International Agency for Research on Cancer (IARC). However, pesticides are poisons designed to kill living organisms and many of the others are also associated with harmful human health effects. What are the impacts on our environment? Pesticides are having devastating effects on our environment and urban biodiversity. When used on hard surfaces such as pavements and paths they tend to run off, contaminating water courses and harming aquatic wildlife in the process. Herbicides are used to turn parks into ‘green deserts’ where only grass grows. They kill all other plants, many of which are relied upon by birds, insects and other wildlife. In addition, many of the pesticides used are highly persistent meaning that they stay around in the soil long into the future. Due to habitat loss and the large quantities of pesticides used in UK agriculture, wildlife is increasingly seeking refuge in our towns and cities. However, the overuse of pesticides is destroying many of the areas where they can forage for food and contaminating the natural resources they depend upon. As a result, the populations of many kinds of wildlife have been devastated in recent years. A 2017 study revealed a 76% decline in flying insects since 1990. We know that pollinators such as bees are particularly struggling. What are the alternatives to using pesticides in our urban spaces? Raising public awareness is absolutely key to the success of going pesticide-free. Councils and other land managers must ensure they communicate their plan of action, and their reasons for change, to the public. 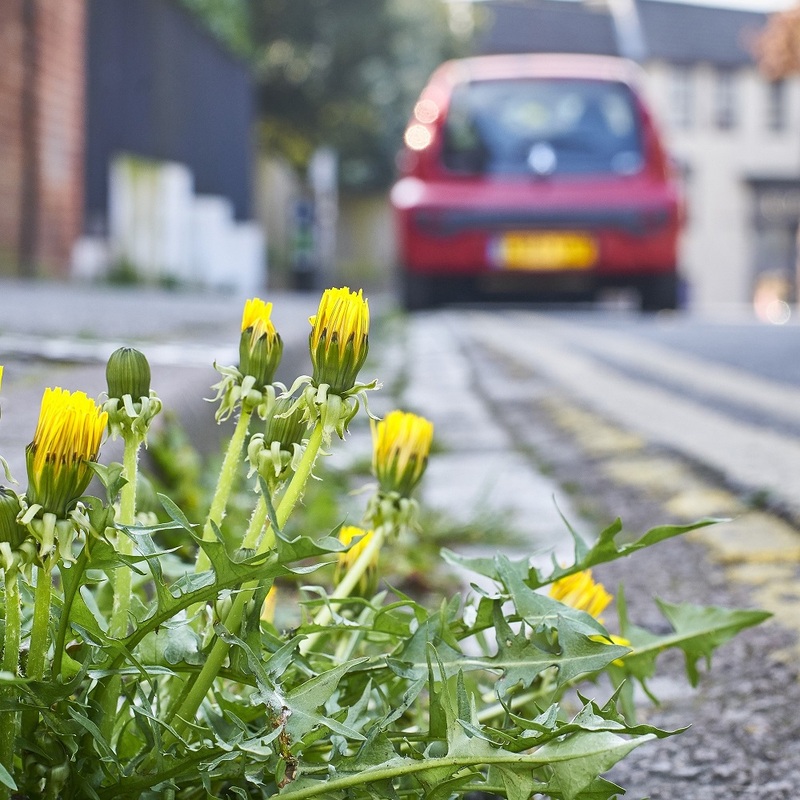 If local residents understand the health and environmental benefits they are much more likely to support the initiative and accept a higher level of ‘weediness’. It is also possible to get local volunteers to help with jobs such as hand weeding. 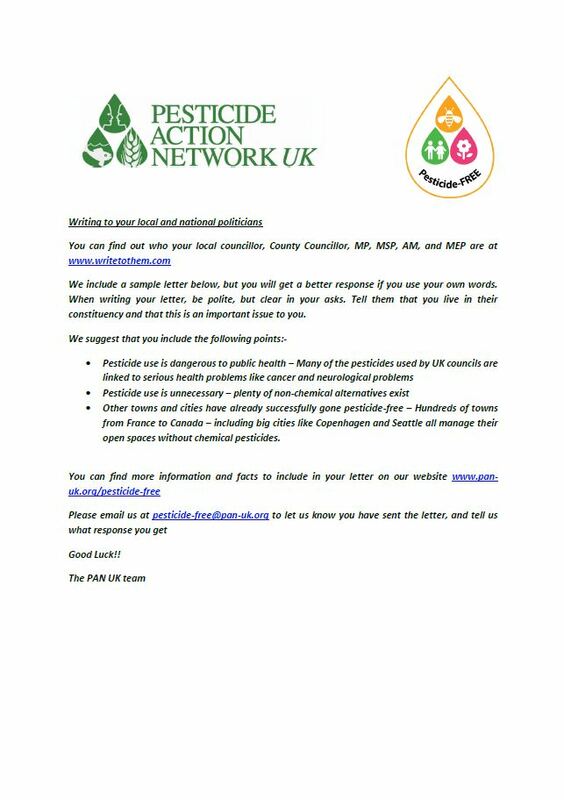 PAN UK is keen to work with councils and other land managers to devise bespoke strategies for ending pesticide use tailored to fit their local context. 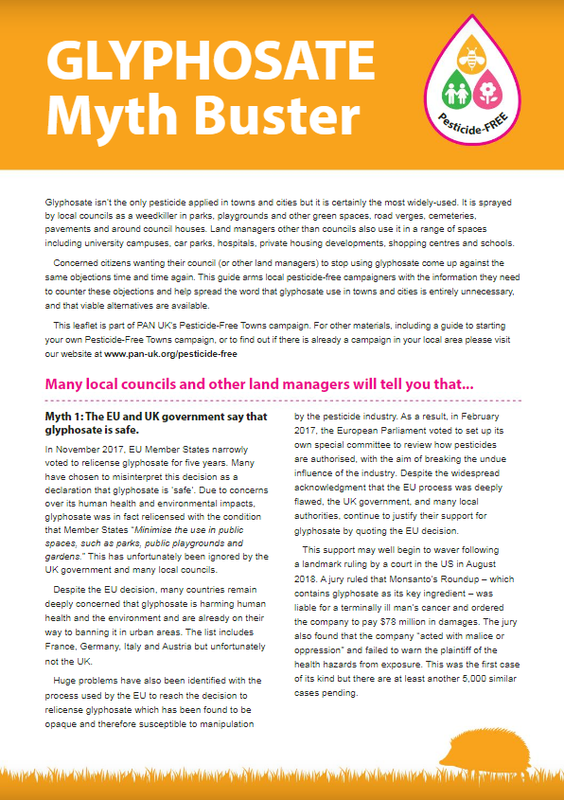 There are a range of different approaches available to councils and other land managers that decide to stop using pesticides. The effectiveness of each method will vary greatly depending on the local context and environment and, in most cases, a suite of different approaches will be required to replace pesticides.